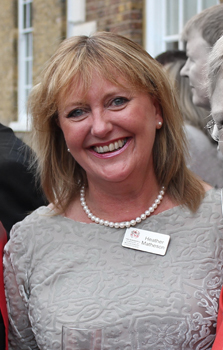 Heather Matheson died peacefully in her sleep in the company of her family on Tuesday morning, 29th March, after a short battle with an invasive cancer. "This whole thing has really been quite bizarre. For me to have a seizure and for us as a family to be told on our 5-day new year holiday in Iceland that I have such a short time ahead of me, and then to be told on return that their time prognosis was optimistic was an absolute shock. We are a strong positive family though and even in the midst of all this emotion are looking for upsides. "How few people get this short conscious opportunity to reflect with friends, to go back through photo albums, to have that glass of wine, to say thank you, to reach out and really live a few final moments? I consider myself lucky for the life I have lived and am still living. Just want more! "Radiotherapy treatment starts next week which will give me extra time and moments. So have to say yes to that! It's a downhill road though in terms of health. Following this treatment, we'll see, chemotherapy puts serious questions of quality of life out there to answer. I'm surrounded by the intense love and support of my family and friends and together we'll look, explore and decide. This experience brings an amazing perspective into the purpose and value of life though and, although decades earlier than expected, it's really bizarrely, quite interesting too. It's also serious, sad and awful to hurt those around me in this way and I am so sorry for that. "The WCoMC has certainly added to my life - wonderful people ad friends, insightful pro bono assignments, exchanges of intellect and experience and of course some fabulous spaces, wines and culinary delights! Absolutely good things! "This started as a little note of good wishes and thanks to you and has gone on - that's what sleepless nights do! It's unlikely that I'll be able to come into London after the treatment starts, so please if you do meet up anyway and have the chance pass on some of thoughts and my thanks and love to the wonderful people of and around our company, please do. Love and all good wishes to you always, Heather xxxx."